We believe that we are to lift God through prayer and worship. We believe that we are to live a life of freedom and executing God's mission through the gifts he has given to us. We believe that we are to be generous and serve others in our community and world. We believe that the church’s primary focus should be to reach people far from God and to teach people how to follow Jesus. As a church, we choose to make much of Jesus. We believe that the church is built on Jesus, by Jesus, and for Jesus, therefore the focus should be on Him. Jesus is the focus of the messages we preach, the songs we sing, and the prayers we pray. We focus on Jesus because we believe that if people see Jesus for who He is then they will be captured by his beauty and compelled to devote their life to knowing and following him. THE CHURCH IS OUR MISSION. We believe that the Church is the hope of the world. Jesus gave his life for the church, He is building the church, and we get the amazing honor to join His mission. We love the church, not just our church, but also the capital “C” Church. We celebrate other churches. 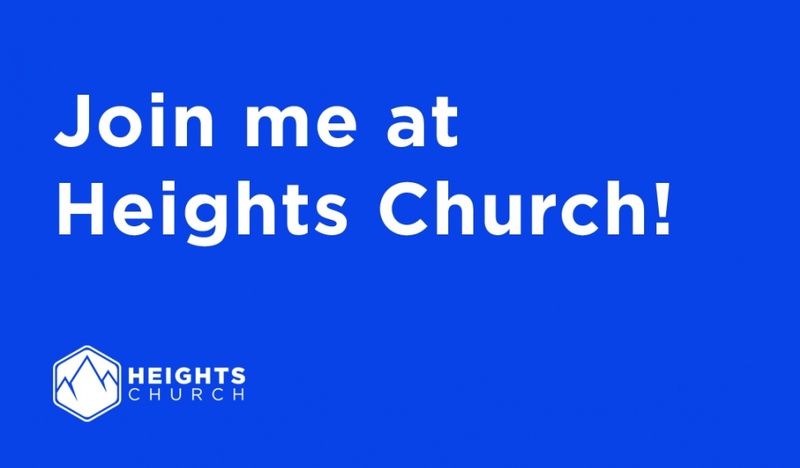 We believe that other churches in our city are our partners, not our competitors. We love, serve, build, and defend the church at all cost. THE CITY IS OUR RESPONSIBILITY. We believe that the city has been entrusted to us. God has placed us strategically in the middle of the beauty and brokenness of the city to make it better and brighter. We have a deep conviction that if it’s our city then it’s our responsibility. The city doesn't exist for the church; the church exists for the city. We take responsibility for our city by seeking the peace and prosperity of the city. We aggressively seek to know and meet the needs of our city in practical ways. We believe that if we take care of our city, God will take care of our church. We love our city. We believe that people matter to God and so they should matter to us. People are our greatest asset. We value people. We celebrate people. We invest in people. We care for people. We extend grace to people. We love all people regardless of race, gender or socioeconomic background. We believe that if we love the people nobody wants that God will give us the people everybody wants. We prioritize people over policy every single time. People are not projects but precious to God and to us. We believe that every person has a calling and that calling is to use their life to serve others. Serving others is one of the most fulfilling parts of the Christian life. We are contributors not just consumers. Jesus modeled serving. He said that the very reason He came to earth was to serve and give His life for others. He said the greatest among us is a servant. We believe that anyone can be great because anyone can serve. We believe that if you're too big to serve, you're too small to lead. We believe that if serving is beneath you, then leading is beyond you. We believe saved people serve people. Every Christ follower is called to follow Christ example of serving. Serving isn't an option but a lifestyle. We believe that Christians should be known as the most generous people on the planet. We believe that Christians should give cheerfully, regularly, and sacrificially. We believe that as Christians we should live with open hands always ready to give and receive. We believe that giving should be with no strings attached. We believe that the greatest motivation for generosity is not based on a law but based on the generosity that has been shown to us through Jesus Christ. We believe in the tithe and the offerings. The tithe is a simple way to show God that He is first in our lives. The tithe feeds the house and the offerings build the house. We believe that the tithe should be motivated by grace instead of guilt. Our church is not built on the generosity of a few but on the sacrifice and generosity of many. We believe the church should save aggressively, spend wisely, and give generously. Giving is not an obligation but a joyful opportunity. We believe that excellence honors God and inspires people. We believe that the most excellent message deserves the most excellent presentation. We believe that excellence is about doing little things in a big way. God is into the details and so we are into details. We are passionate about creating excellent environments and experiences for people to encounter God. We believe that God is worthy of excellence and people are worth it. We hold a high standard of excellence for every area of our church. THE LOST ARE OUR PRIORITY. We believe that the lost are God’s top priority and therefore the lost should be the highest priority of our church. Our church desires to equip the insider, but not at the expense of disengaging the outsider. We build our weekend services with the lost in mind. We are committed to doing anything short of sin to reach the lost for Jesus. We are a reaching church, a rescuing church, an inviting church, a welcoming church, and a “do whatever it takes” church because that's what Jesus did for us.